180-gram vinyl reissue by UK's Pure Pleasure Records! Remastered by Ron McMaster at Capitol Studios! Jazz singer Dianne Reeves was born into a family rich in musical background. Her uncle, Charles Burrell, a bass player with the Denver Symphony Orchestra, introduced her to the music of jazz singers such as Ella Fitzgerald, Billie Holiday, and, especially impressive to Reeves, Sarah Vaughan. Her musical career includes a tour with Eduardo del Barrio's group Caldera; singing with Billy Childs' jazz band Night Flight; touring with Sergio Mendes; from 1983-86 touring with Harry Belafonte as a lead singer. She also sang at the closing ceremony of the 2002 Winter Olympic Games in Salt Lake City. 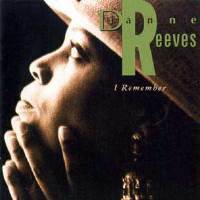 Reeves has been awarded four Grammys for Best Jazz Vocal Performances for the albums In the Moment - Live In Concert (2001), The Calling: Celebrating Sarah Vaughan (2002), A Little Moonlight (2003), and Good Night and Good Luck (soundtrack) (2006). "This Blue Note release finds her in consistently superb form. Reeves' treatments of such numbers as "Afro Blue" (which is particularly memorable), "Love for Sale," "Softly As in a Morning Sunrise," "How High the Moon," and McCoy Tyner's "You Taught My Heart to Sing" all border on the classic. Joined by such illustrious sidemen as pianists Billy Childs, Mulgrew Miller, and Donald Brown; bassists Charnett Moffett and Chris Severin; and drummers Billy Kilson and Marvin "Smitty" Smith, plus guest appearances by vibraphonist Bobby Hutcherson, altoist Greg Osby, and guitarist Kevin Eubanks, Reeves sounds inspired by the company. Highly recommended." Recorded at Madhatter Studios, Los Angeles, California on September 10-11, 1990 and The Van Gelder Studio, Englewood Cliffs, New Jersey on April 27-28 and May 9, 1988.